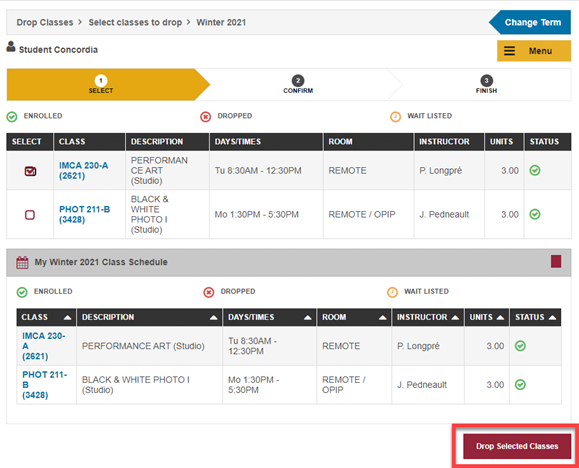 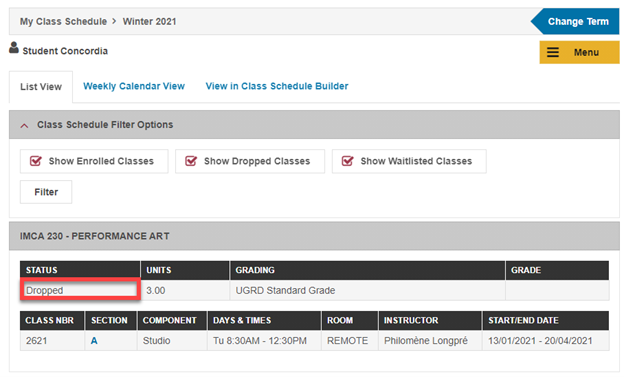 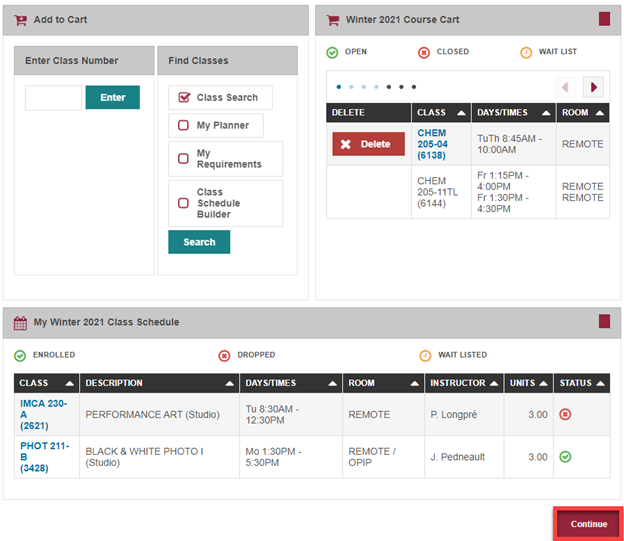 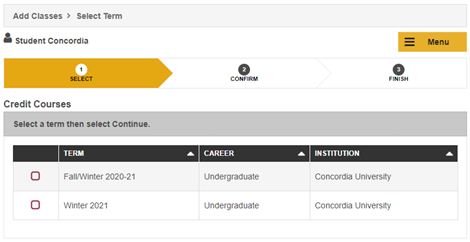 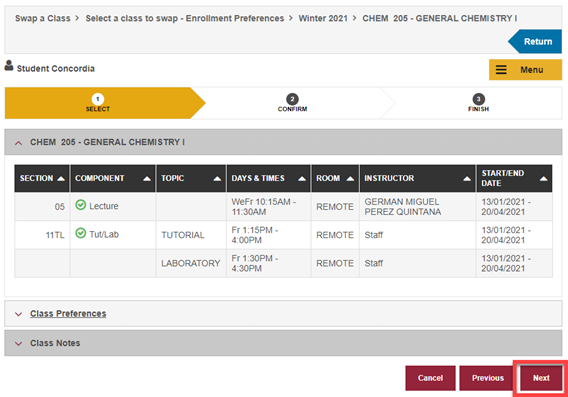 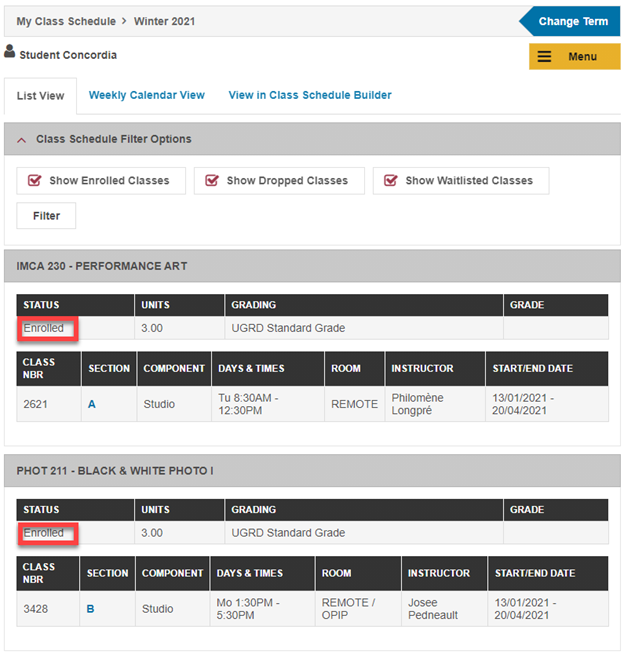 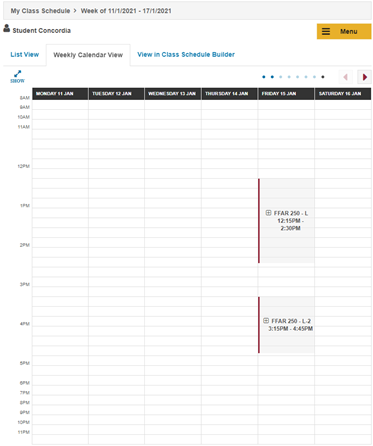 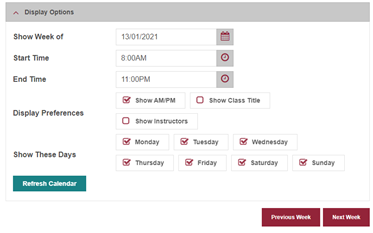 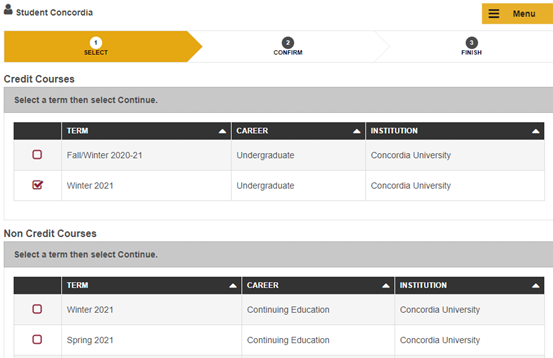 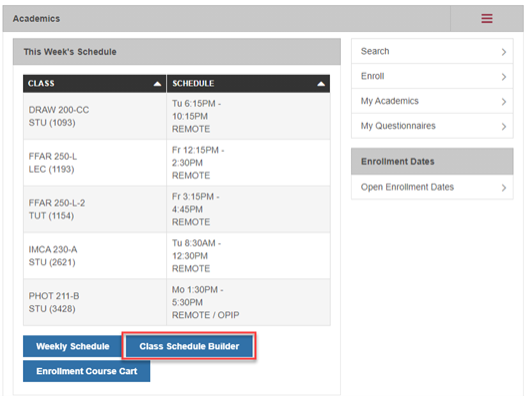 Your individual date will be displayed in the Enrollment Dates box on your Student Center page. 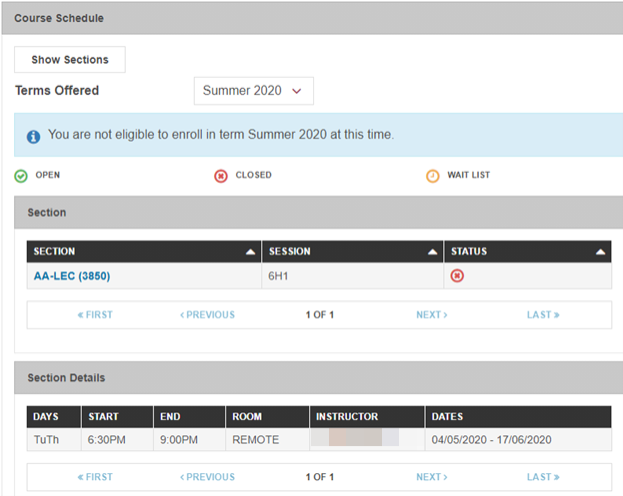 The summer dates will appear first. 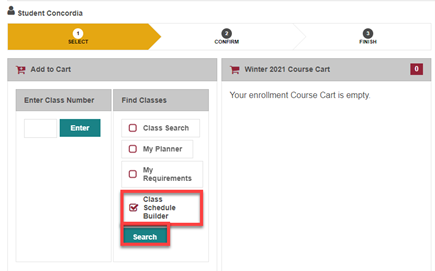 The enrollment appointment date will default to the upcoming or current term. 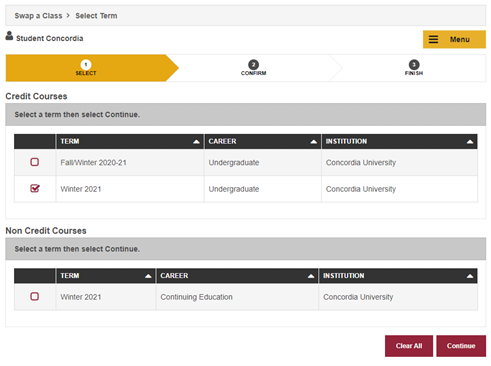 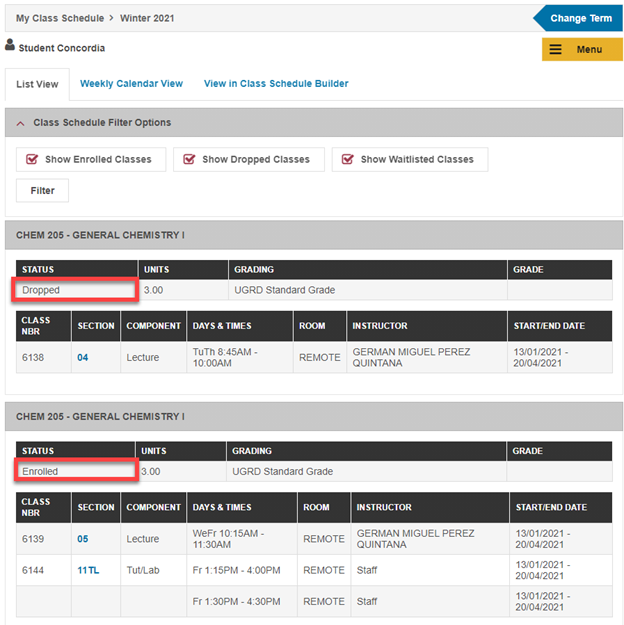 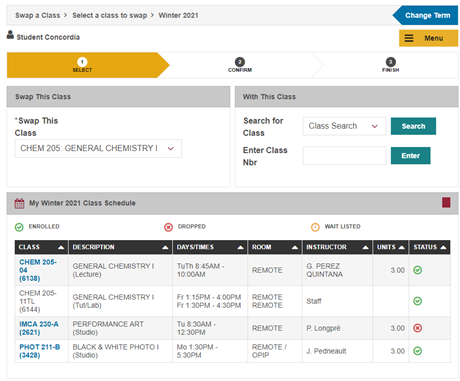 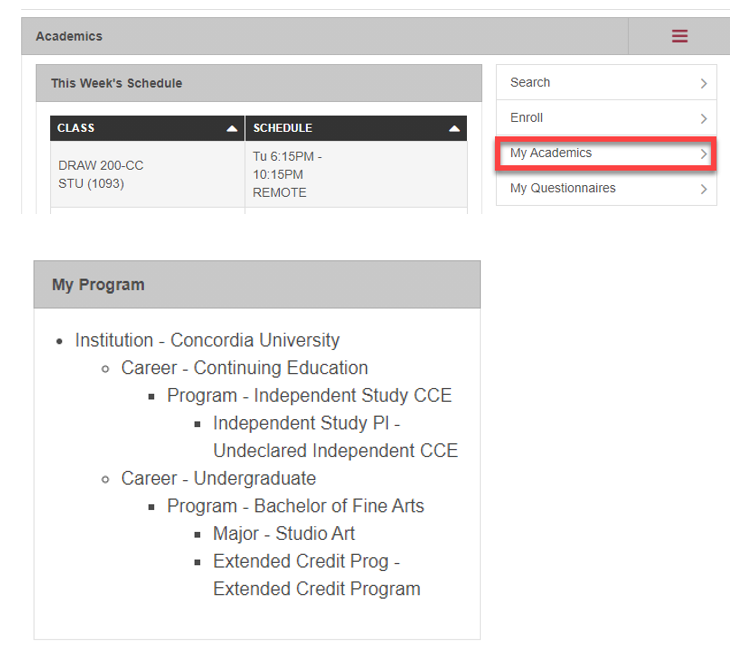 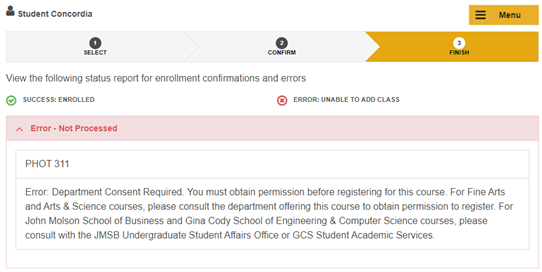 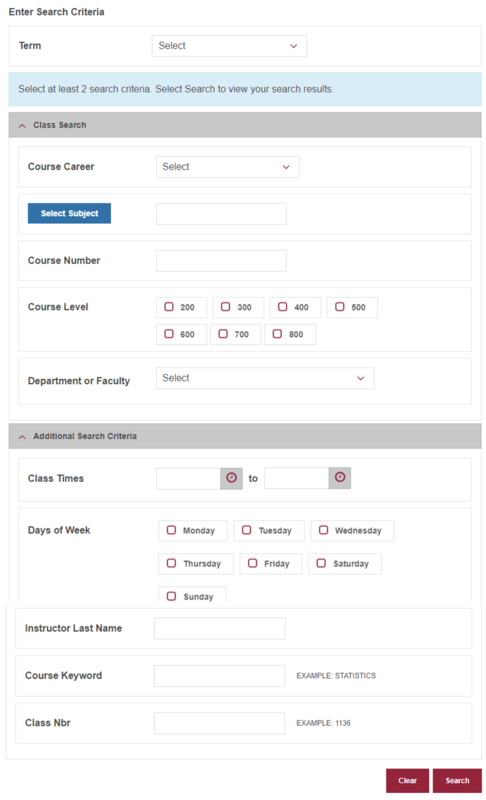 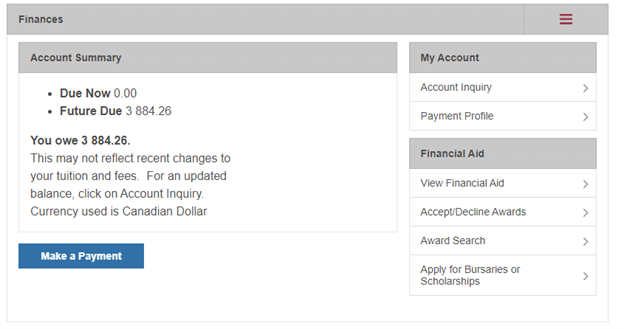 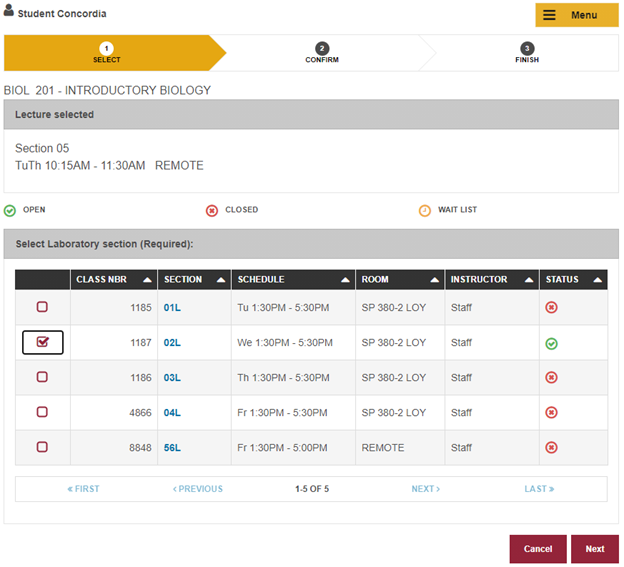 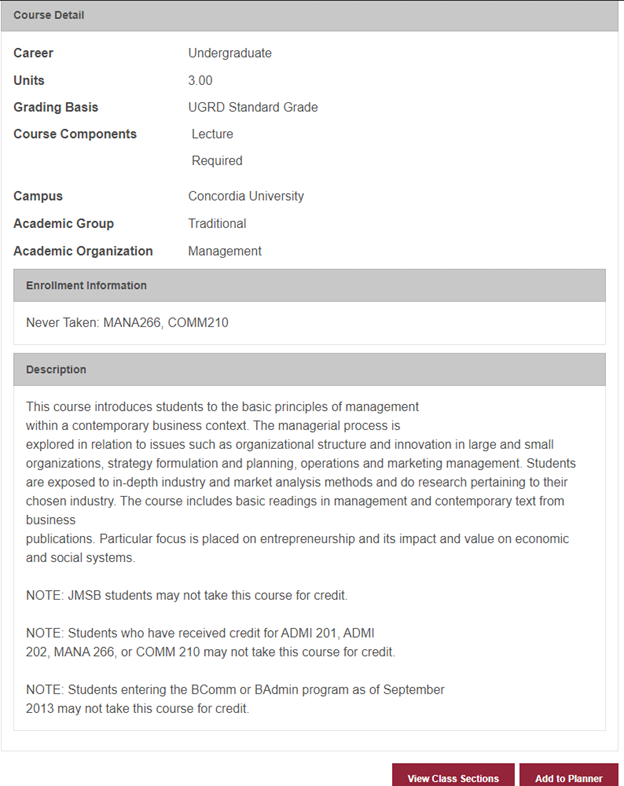 This screen offers the capability of determining the student credit limits for each term. For example, the student above has a maximum limit of 12 credits they can possibly take in Summer 2018. 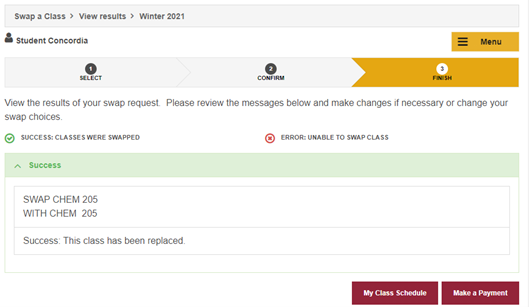 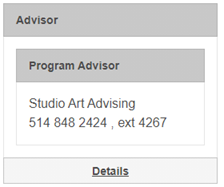 The appointment date for the Fall, Fall/Winter and Winter terms will appear after the expiration of the summer dates. 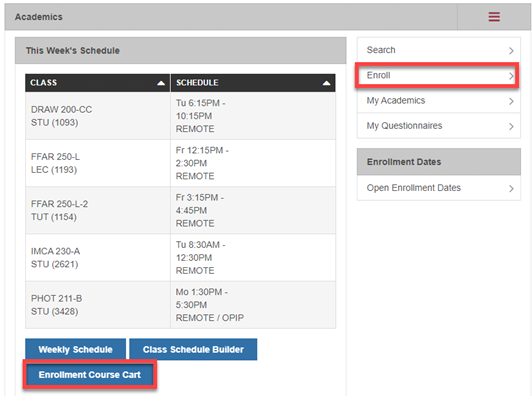 Other terms can be accessed by using the “Change Term” button. 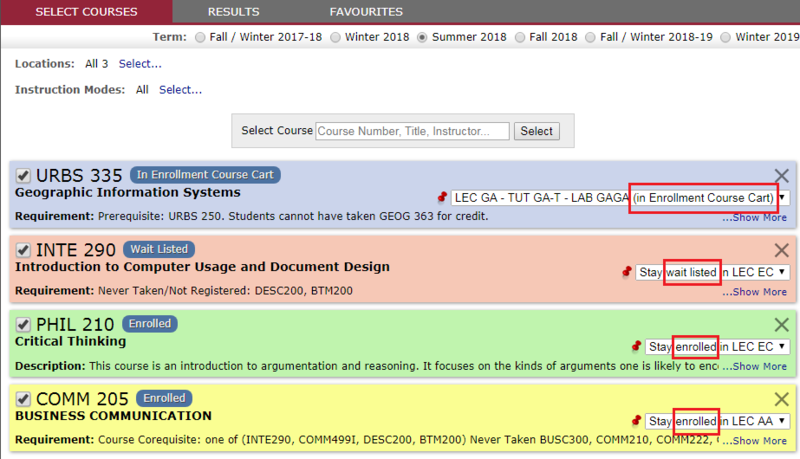 Program length (minimum credits required) minus credits earned minus in progress courses as of February 2018 (excluding DISC courses) equals credits to completion. 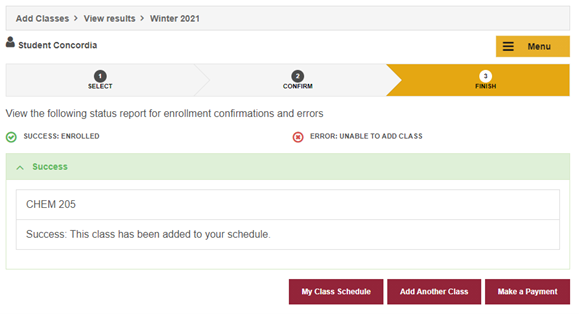 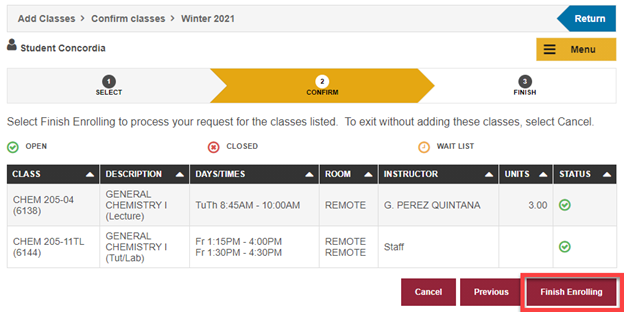 Remember to register for all terms Summer (2181), Fall (2182), Fall/Winter (2183) and Winter (2184) at the same time – do not wait until later in the Fall to register for your Winter courses as you may find them filled to capacity.